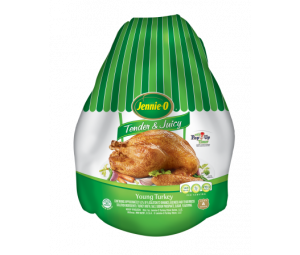 1 JENNIE-O® whole turkey, fresh or thawed, neck, giblets and gravy packet removed, if applicable. 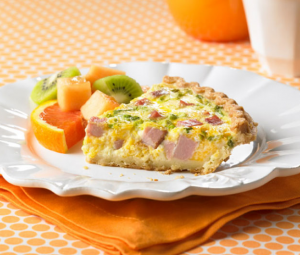 With a fork, pierce random holes over the turkey. 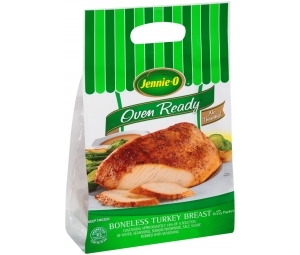 Place the turkey in large, plastic cooking bag. In small bowl, whisk together red wine, orange juice, olive oil, shallots, garlic, rosemary and oregano. Pour marinade over turkey. Close bag securely and place in a pan. Refrigerate several hours or overnight. 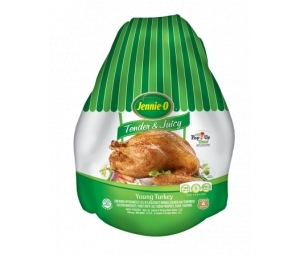 Remove turkey from marinade and prepare turkey. Discard marinade. Do not use marinade to baste. If you want to baste remove ⅛ cup of marinade from bowl prior to pouring in bag and reserve for later use. See How to Cook a Turkey for directions. Wash hands and all items that come into contact with uncooked turkey.